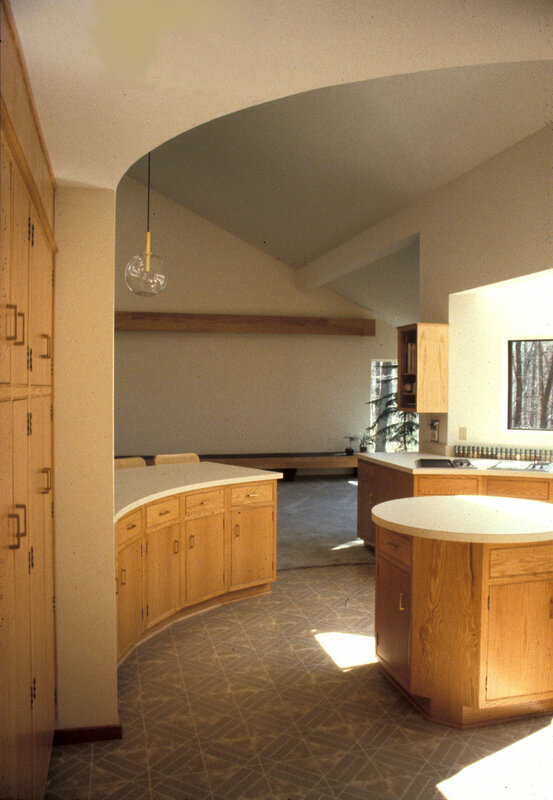 Curved forms on the inside and outside create a soft character for the sculptural qualities of the home. The kitchen has rounded countertop space. 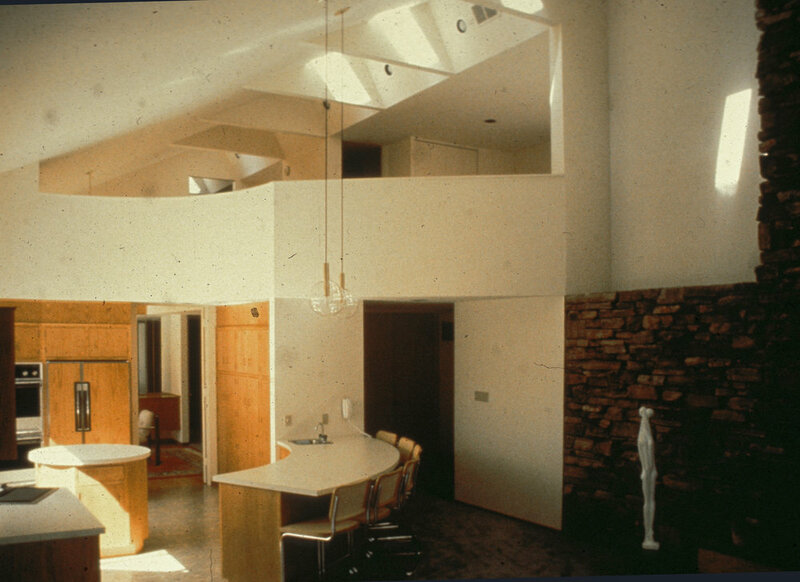 Light from a clerestory at the ridge floods the home with ever changing patterns of light.